The Safco Scoot Personal Bookcase is a classy piece of furniture for keeping and organizing books and other items perfect for personal use. 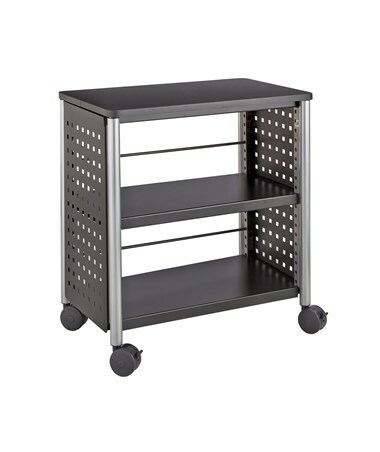 It has three tough shelves and metal bars that help prevent the contents from falling off the case on one side. It also has four plastic casters for easy mobility and these casters can be locked to make the bookcase stationary. The unit’s side panels have a unique hole pattern design for ventilation and stylish look. 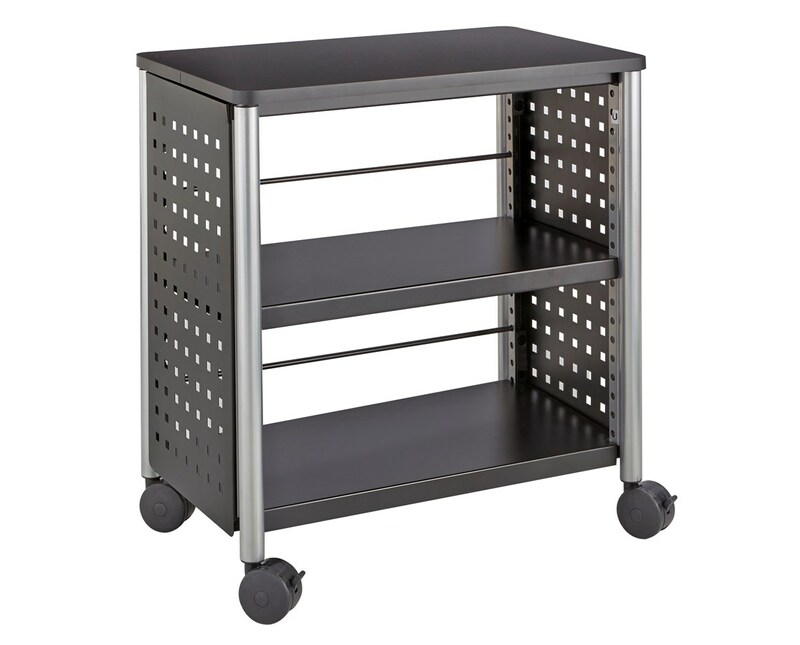 This Scoot bookcase’s shelves and side panels are made of perforated steel, while the frames or legs are made of steel tube.